In Memoriam - Albert O. Klaben Sr.
Albert O. 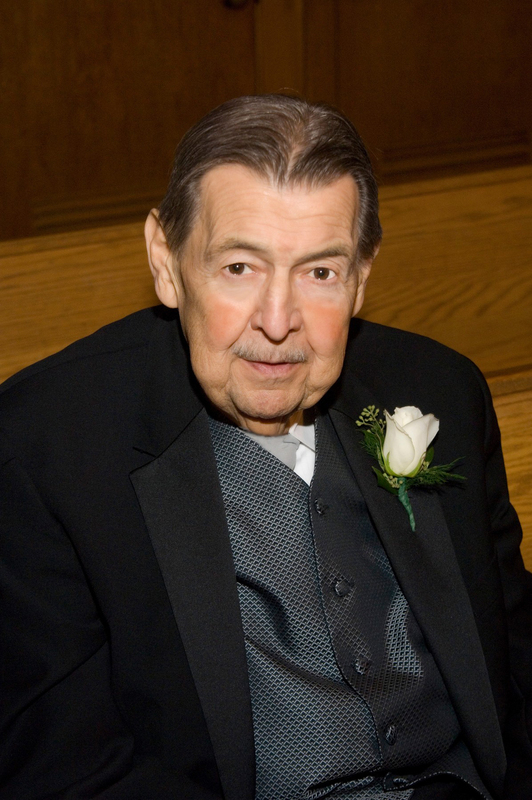 (Al) Klaben of Jupiter, Florida passed away at home on Thursday July 22, 2010. He was the loving husband of Rosaline (Savo) Klaben, to whom he was married for 54 years. He was born September 6, 1932 in Syracuse, NY, the son of the late Otto Klaben and Carminella (Mirra) Klaben. He served in the US Army from 1952 to 1954, stationed in Germany, during the Korean conflict. Upon his return, he subsequently met and married Rosaline and they began to raise their family in the Syracuse area. In 1963, he got his start in the Automotive Industry in Syracuse under the guidance of Anthony “Chappy” Romano. Although he experienced much success in Syracuse, he made a decision to take advantage of an opportunity in Akron, Ohio. In March of 1973, he became the Dealer at Chapel Hill Dodge, the beginning of the Klaben Automotive Group. He purchased multiple dealerships and other businesses over four decades, all of which evolved into the present structure: The Klaben Auto Stores in Kent, Crown Ford Lincoln Mercury in Warren, and many related endeavors in Northeast Ohio. In addition to his wife, he is survived by his three sons; Albert O. Jr. (Nikki) of Silver Lake, Ohio, Richard G. (Kate) of Silver Lake, Ohio, and Michael G. Sr. (Connie) of Warren, Ohio. He is also survived by thirteen grandchildren; Christine Naumoff (Dan), Kimberly McFarlane (Keith), Joseph A. Klaben (GraceAnn), Kathleen Klaben-Perlow (Steve), Lori Klaben, Matthew Klaben, Michael A. Klaben, Katherine “Kayla” Klaben, David Klaben, Alison Klaben, Michael G. Klaben Jr., Albert O. Klaben III, Timothy Klaben, one great-grandson, Joseph C. Klaben, brother-in-law John Savo (Ines) of Solvay, NY, several nieces, nephews, cousins and with special recognition to valued friend, Nicholas Kenol, who provided excellent care and companionship over the past year as a personal aide to Mr. Klaben. Of all his many accomplishments in life, his primary commitments were to his wife, family and faith, followed closely by his loyal employees and customers. He felt an inherent sense of obligation and responsibility, and never waivered. He will be remembered as a generous and unselfish man who avoided any notoriety for himself. Up to the time of his passing, he never stopped worrying about others. Today, he lives with Christ, in peace. He was a Parishioner at St. Patrick’s Catholic Church, Palm Beach Gardens, Florida. A memorial mass is planned for a later date. A Visitation will be held from 5:00PM to 9:00PM, Monday July 26, 2010 at Holy Family Catholic Church, 3179 Kent Rd, Stow, Ohio. A Funeral Mass and Christian Burial will follow on Tuesday, July 27, 2010 at 11:00AM, also at Holy Family Catholic Church. In lieu of flowers, contributions may be sent to Kent Social Services, 1066 S. Water St., Kent, OH 44240.